Compatible with iOS 8, 9 and 10. Requires Spotify Music from AppStore. Tested on Spotify version 8.4.24. Flipswitches and more for Spotify. Feel free to use the donate button down below if you're enjoying this tweak as it has taken a lot of time to develop. Could be configured using Activator. 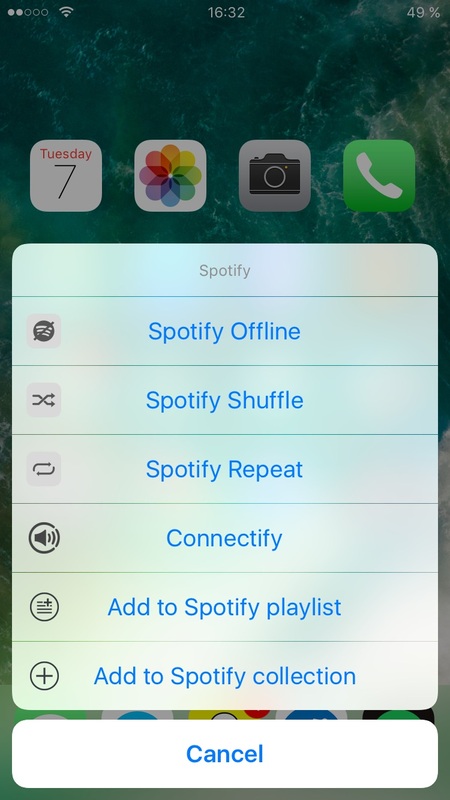 Use Polus for Flipswitches in Control Center.